One stop shop kitchen and bath showroom for sell. The business sells materials as well as completes the installs. 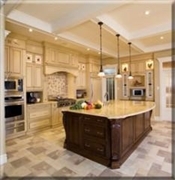 The business specializes in kitchen and bathroom installations. The business has a great customer base and is ready to expand.